The story commenced in the early fifties when Louis, Marc’s father, was posted to Champagne to carry out his military service. He didn’t know the region of Reims but soon fell absolutely in love with it…. the outings with winegrower friends, the conviviality, sharing, working the land. Although he didn’t know it yet, he had just discovered his vocation! When he returned to the Alps in 1954 he was sure of one thing… he too wanted to become a winegrower, to make his own wines and bottle them, and to produce wines “of quality”, as they would say back then. Louis was the very first in the area to devote himself entirely to viticulture and focus on the quality of his grapes and his wines. His first wines were sparkling white wines made in the traditional champagne method, by way of a tribute to the region that had so inspired him, and to maintain the bond with his friends from Champagne who regularly came to visit. And we still perpetuate this tradition today in the production of a “methode traditionnelle” of extremely fine, delicate bubbles that is highly appreciated by our clients and friends. The adventure continued in the sixties, and the Domaine rapidly developed. The Minister of Agriculture of the time chose our vines to undertake an experimental study of grape varieties adapted to cultivation in a mountain environment. They discovered, unsurprisingly, that Mollard, the historic variety of this valley, was particularly well suited to our terroir. In 1964, Louis’ wife Marcelle decided to open a tasting cellar. Here she too was a precursor, the first to embark upon such a project in the Hautes-Alpes, and it soon became the meeting place for all the gourmets of the region. Wine-lovers came from far and wide to test the legendary hospitality of Marcelle! We have kept this tasting room just as it was, and if you come to visit us you will be able to taste our wines at a genuine 100% vintage Formica bar…. It’s our way of honouring the memory of Marcelle and Louis who created the Domaine and whose goal was to centre their work on conviviality. 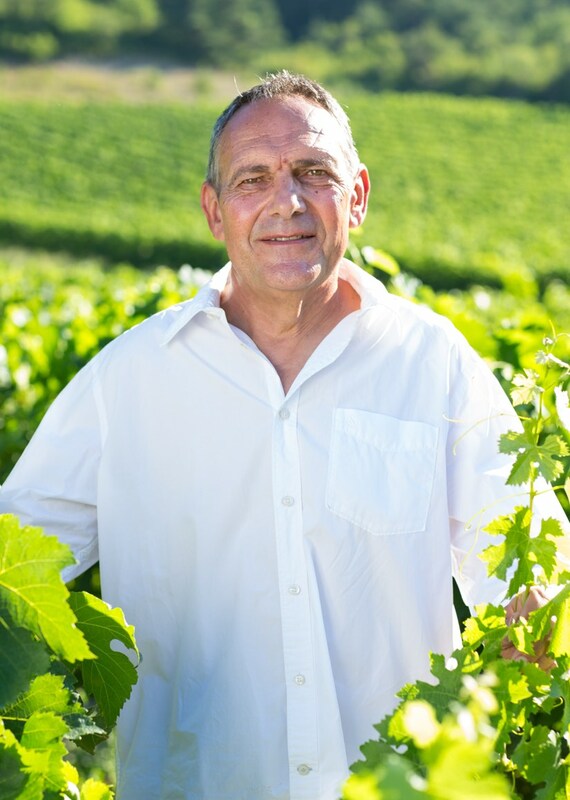 In the seventies, after obtaining his Baccalaureate, Marc started working with his parents on the Domaine and began making his first wines. At only 20 years of age he already knew precisely what he liked… wines that were forthright, taut and elegant with that touch of minerality that characterises wines of altitude. In 1984, with his wife Mireille, he took over responsibility for the estate. That year he was the very first winemaker in the Hautes-Alpes to obtain the “Vin de Pays” label for his wines, thus paving the way for recognition of all wines from the region. In 2009 this appellation was transformed into the denomination “Indication Géographique Protégé Hautes-Alpes”. In 1990 he entered into what was to be his greatest ever combat as a winegrower…. This lover of ancient varieties and wines with a difference remarked that, in France, only a dozen or so grape varieties were used to make 80% of the wines, in spite of the fact that there exist thousands of others! So, he resolved to strive to preserve and rehabilitate one of them. 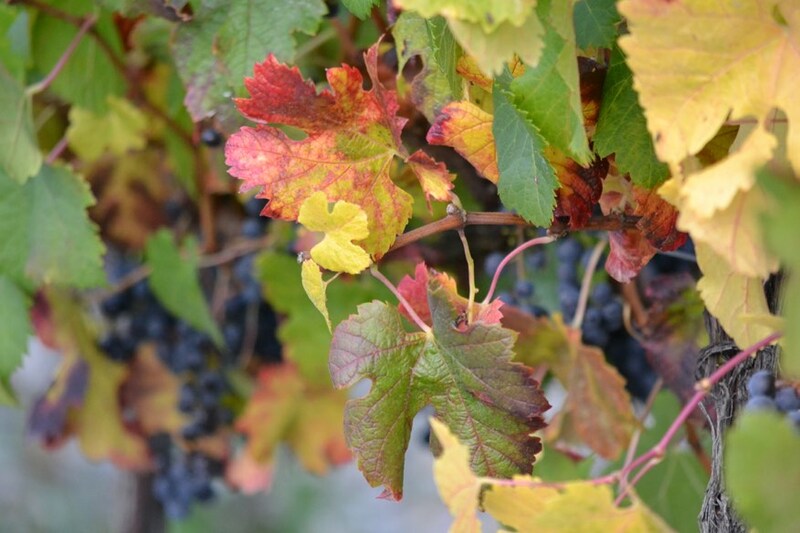 And it was quite naturally Mollard, the traditional variety of the Hautes-Alpes already singled out during the experiments with the Ministry of Agriculture, that he chose to save with the help of the French Vine Institute. At the time, few other winegrowers gave this pioneer much chance of success. It took over 10 long years of work before Mollard was finally recognised and made its entry into the French catalogue of official grape varieties in France in 2005. Today Domaine Allemand possesses the only rootstock nursery vineyard, from which all new certified plants of Mollard originate. It was to continue the combat that Laetitia, his daughter, returned to the Domaine in 2014. After 15 years as a journalist in Paris, she decided to succeed her father at the helm of the estate where she had passed her entire childhood. 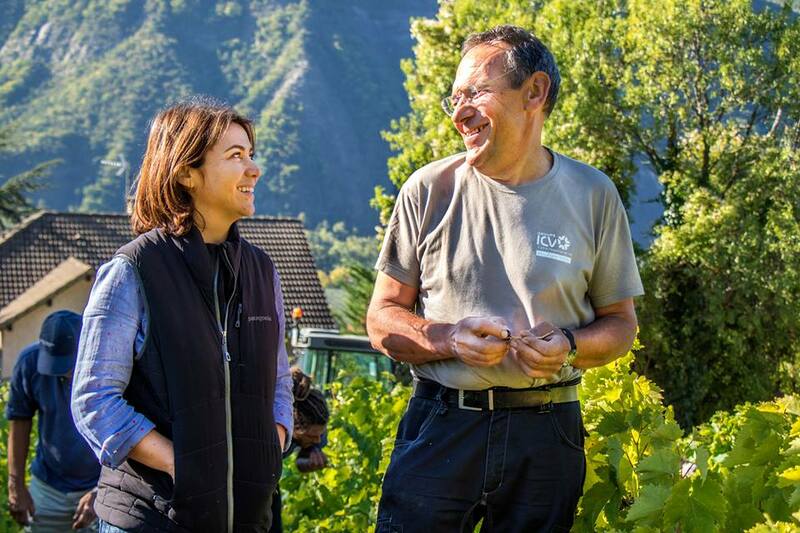 Marc and Laetitia have a common vision of how wines should be made: taking care of the soils, tending the vines, respecting the grapes, being attentive to the winemaking process and investing each bottle with a little bit of their soul. They also share the same taste for vivacious and well-structured wines from mountain terroirs. 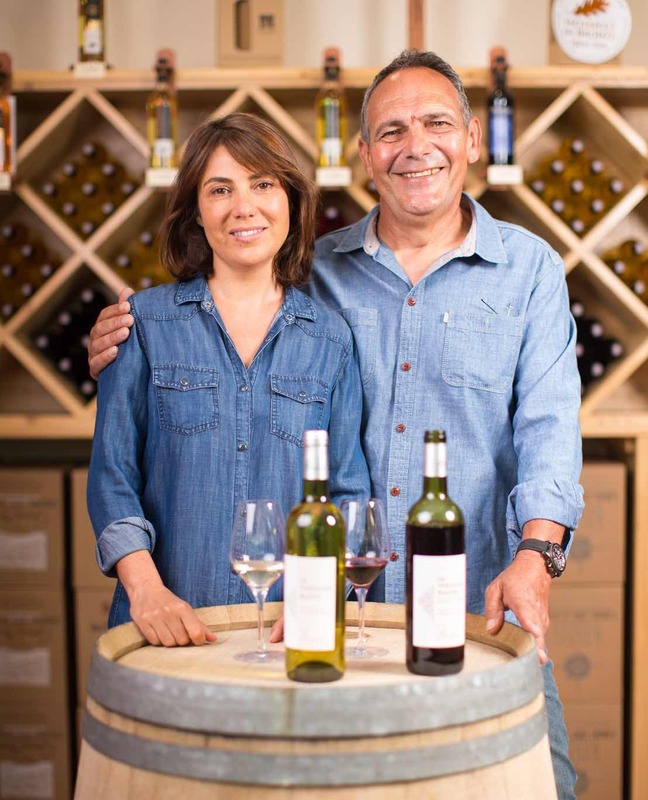 They are both conscious that, in the family, making wine is first and foremost about passion, being dedicated to what they do, and cultivating a sense of sharing. 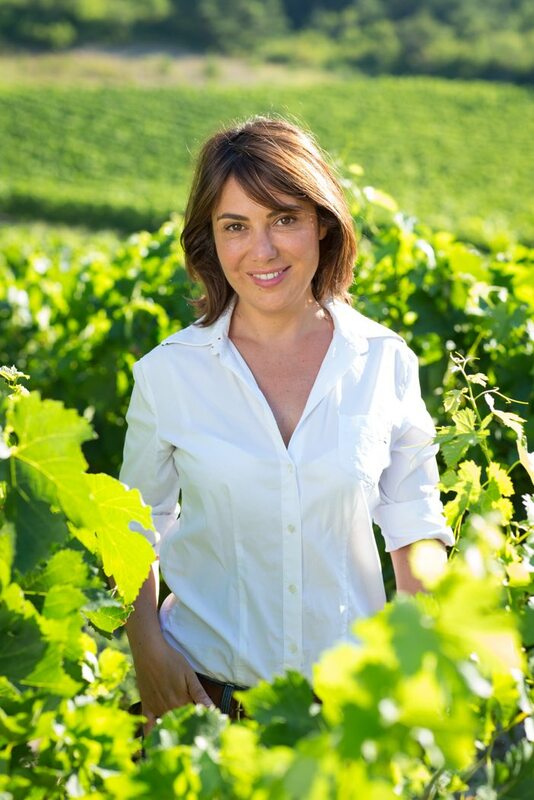 “For a long time before turning to winemaking I was a journalist. And occasionally I still am, in order to share my passion for wine via the production of short videos that focus on the vineyards and wine tourism. When I’m asked what the two professions can possibly have in common I reply that they’re not as different as all that! In both cases you need to be curious, like meeting people and enjoy sharing experiences. In addition, for me wine is really the result of creativity. It’s the fruit of a particular terroir but also, and above all, the expression of the winemaker ‘s own sensitivity and inspiration. The oenologist Jacques Puisais once said “A wine should have the voice of its place of origin and the guts of the person that made it” … and I share that same sentiment.